Obey instructions of the driver at all times. Passengers MUST remain seated and facing forward of bus until discharged. No eating, drinking or gum chewing is allowed. Food items are not permitted for cleanliness, to avoid choking hazards, and to respect the possibility of food allergies of other students, except food contained inside a sealed lunch box or backpack. Cross in front of the bus making sure that the driver sees you and you see the driver. Wait for the driver's signal that it is safe to cross. Polite manners and being quiet is expected at all times. Be at the designated bus stop at least 5 MINUTES before the bus arrives. The Gananda School District realizes that cell phone use is an important line of communication between parents and their children. 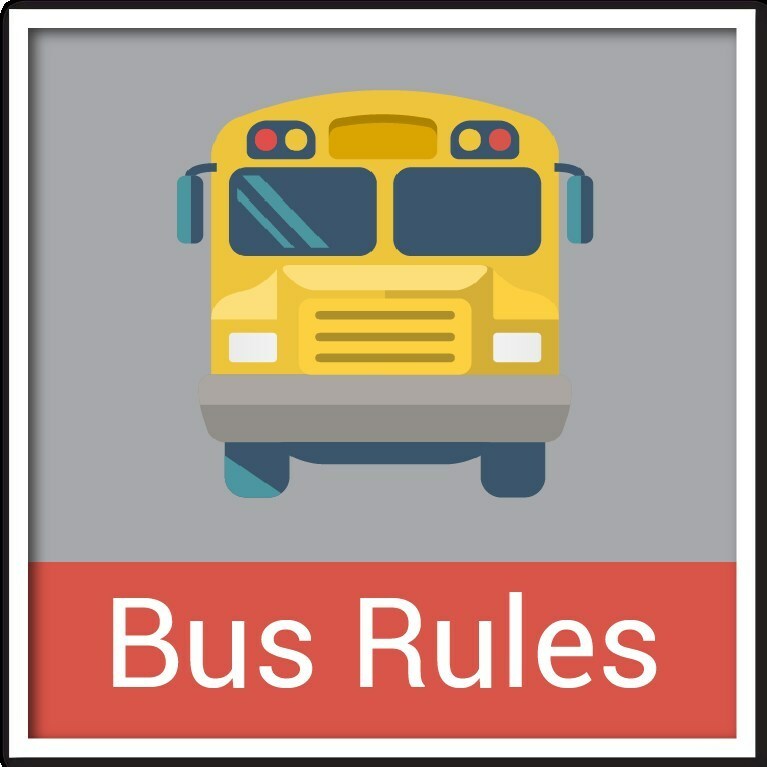 Cell phone use by students can cause dangerous distractions for the bus driver. Cell phones may be used for emergency purposes only. Cell phones may be placed on vibrate but may not be visible while on the school bus. Students may not use cell phones for social reasons. Using the cell phone for text messaging, taking pictures of self or others to transmit or store, and/or illegal activities will be considered inappropriate use of the cell phone. Parents/students will assume any and all responsibility for loss of the phone and will be responsible for its safe keeping. Students may only use their cell phones on sports/activity trips in two situations: in order to call a parent for a ride and in a medical emergency situation.